Diarrhea and vomiting affects over a million people in the United States each year. It can be caused by viral gastroenteritis, bacterial infections, or even food poisoning. Eating undercooked fish or meats can also cause an infection. Vomiting up food or having diarrhea is the body’s way of getting rid of something that is upsetting your digestive system. During this time, you don’t want to eat much and this helps to give things a rest so you can heal from whatever made you sick. This article will help you understand some of the common causes and what you can do to feel better. The “stomach flu” isn’t actually a flu, but a viral infection known asviral gastroenteritis. There are several viruses that can cause the symptoms and they are very contagious. One way it can be spread is through contaminated food or water. This condition is often found in daycares, cruise ships, and school settings. Symptoms of viral gastroenteritis include vomiting, nausea, diarrhea, headache, body aches, weight loss, and abdominal cramping. You may also have chills, fever, and cold sweats. People at higher risk for the stomach flu include young children in daycare, elderly living in nursing homes, and people with low immune system function. Viral gastroenteritis usually clears up on its own in a few days to a little over a week. Treatment includes increasing fluid intake so you don’t get dehydrated. Some people have to be put in the hospital to receive extra fluids intravenously. Stomach flu can be prevented through increased hand washing, drinking bottled clean water, and only eating foods and meats that are fully cooked. People who are suffering from the stomach flu should not prepare foods that others will be eating. In daycare centers, keep all toys clean and sanitized since small children tend to put toys in their mouths. Food that is contaminated by either a virus or bacteria, and other contaminants can cause food poisoning. If hand washing isn’t a common practice prior to handling foods, it can transmit germs and make people sick. It can also be caused by undercooked foods likeeggs, meats, and seafood. Food poisoning is a common cause of diarrhea and vomiting and the illness can set in within minutes to hours after eating contaminated food. The symptoms of food poisoning include nausea, vomiting, diarrhea, abdominal cramping, fever, headaches, and fatigue. Food poisoning usually lasts between 24 hours to 10 days depending on what caused the illness and your health condition. Food poisoning usually just has to run its course. In the meantime, it is important to drink plenty of fluids to avoid dehydration. In some cases, if the illness was caused by bacteria, antibiotics may be needed. Infants under one year: Breastfeed as normal if you are nursing your baby. Breast milk contains all the necessary electrolytes and fluids your baby needs. For bottle-fed babies, give he/she a formula that is lactose-free until the vomiting and diarrhea stop. If your baby continues to vomit or have diarrhea, your pediatrician may want to use only electrolyte replacement for 12 to 24 hours. Do not give plain water to infants. Toddlers over one year and children: Give your child electrolyte replacement solution to prevent dehydration for the first day. For toddlers and children having diarrhea and vomiting, you can start clear liquid diet after the first 24 hours. Try not to use soda or plain water, because they do not have the proper electrolytes and can make your child worse. For older children, adults, and elderly: Use an electrolyte replacement drink for the first 24 hours and try to drink at least seven 8-ounce-glasses of water daily. Elderly adults need to use electrolyte replacement until the illness clears off completely. Avoid caffeinated drinks and alcohol as they can dehydrate you more. 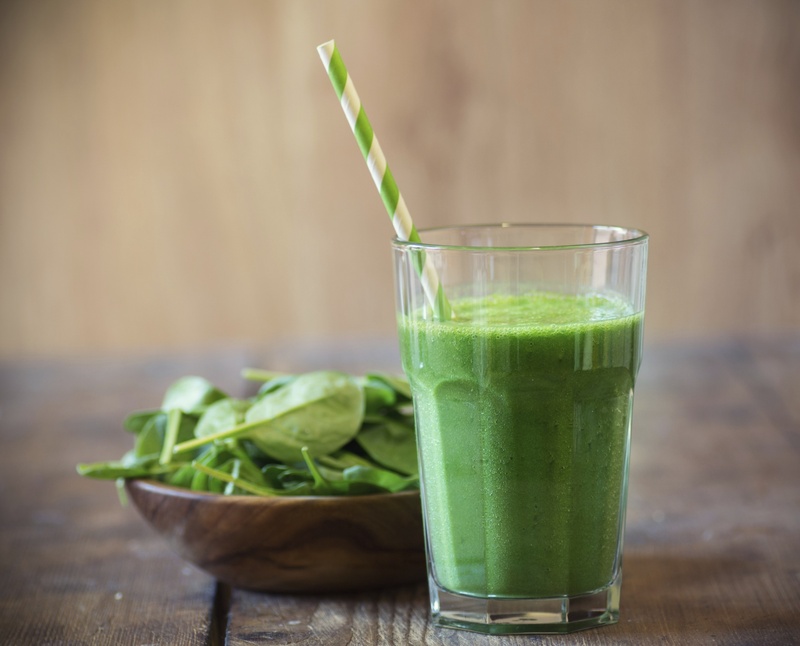 Bananas will give you potassium, while kale has the important electrolyte calcium. You can also get lots of magnesium and extra potassium from almonds. A dash of salt will give you needed sodium to help balance everything. To make this smoothie, place two bananas in your blender and add a small handful of almonds and pour in some soymilk. Blend this mixture first and throw in some kale and a dash of sea salt. Blend for a minute more and enjoy. 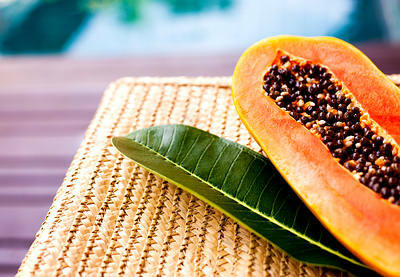 You can get an electrolyte boost from papaya. Take a raw papaya and grate. Add grated papaya to boiling water and boil for ten minutes. Place extra tea in a jar and drink a few times a day while you are sick. The B.R.A.T. 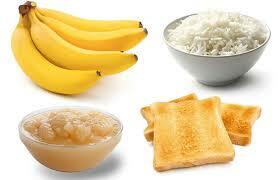 diet consists of bananas, rice, applesauce, and toast. These are helpful during the first 48 hours of having vomiting and diarrhea.